Home / Unlabelled / ASUU Agrees With FG On Seven Key Areas...See! 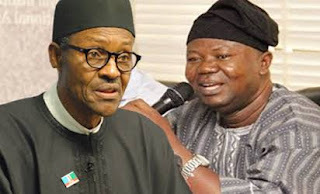 ASUU Agrees With FG On Seven Key Areas...See! The strike embarked upon by the Academic Staff Union of Universities may be coming to an end as the striking lectures and Federal Government have reached an agreement on seven key areas. Minister of Labour and Productivity, Dr. Chris Ngige, after the meeting with ASUU officials led by its President, Prof. Biodun Ogunyemi stated that the government had made “substantial progress” in its discussion with the union. He said the government has released N163 billion from Tertiary Education Trust Fund (TETfund) to satisfy some of the demands of ASUU. Ngige said the union and government had resolved most of the issues, adding that ASUU would need to consult its members and then inform the government of its decision. Ngige said: “Today we have agreed to fund revitalization. Government has released from TETFUND account about N163bn. The meeting will reconvene at the instance of ASUU. FG is not weak in the negotiation. The strike is not slipping out of our hands. ”We did not take a long time than we anticipated. We have other commitments but the important thing is that we have made substantial progress. We have reached some agreements in seven areas. “We have reached some agreements in seven areas. Most of the issues have been resolved but ASUU will need to consult its members and come with what they think. If you aggregate the total amount of money involved, it is beyond N50bn. “We are paying in several compartments and these are debt from 2019 to 2012. We have started defraying the earned allowances there and released N15.4bn for shortfall in the payment of salaries. Prof. Ogunyemi said discussion with the federal government will continue at a later date. He said the union had not called off the strike. Mr Ogunyemi said before the strike can be suspended, the government must address the issue of revitalization. He said: “We have not suspended the strike, the discussion will continue at a later date. “We are going back to our members for further consultation. FG gave us reaction to our proposals but there were still grey areas that we are trying to sort out. “Before the strike can be suspended, the most critical area that FG must address is revitalization. It is central to our academic work, unless that area is addressed, our members will still have issues. “We are not demanding for N50bn, we are saying that the minimum that Fg can release to reactivate revitalization fund is N50bn,” he added. President Muhammadu Buhari had earlier ordered Mr. Ngige, to end the over two-month-old strike by Nigerian university teachers before the meeting with the university lectures commenced. At present, the government is yet to release the N1.1 trillion it agreed to release as part of the funds for the revitalisation project.